This guide is only for users in the Interfolio Client Community. This guide is not relevant to the general use of the Interfolio product (ie- Dossier, Faculty Search, Faculty Activity Reporting (Faculty180), Review Promotion & Tenure). 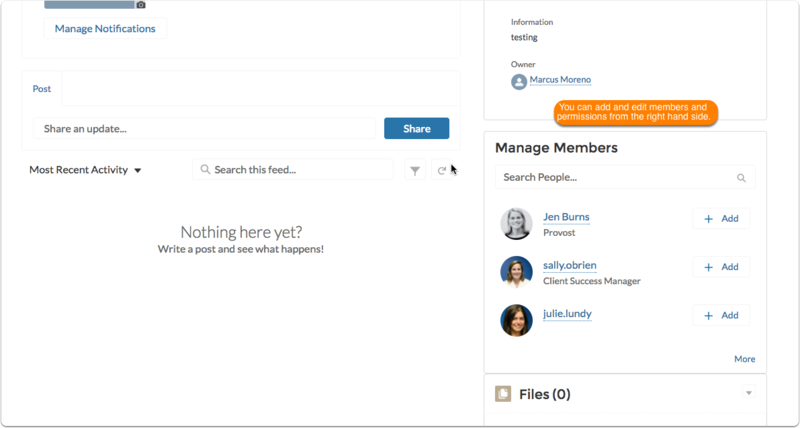 What are Groups in the Interfolio Client Community? 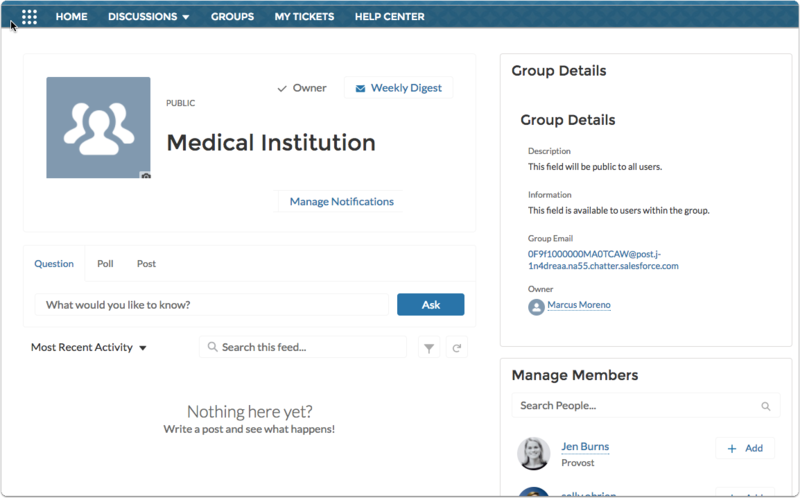 The groups tool in the Interfolio Client Community was created to offer a place for smaller communities with commonalities to breakout and talk about, potentially private, relevant topics specific to their common-held scenario or perspective (ie- Small institution, System perspective, Medical Institution, etc). 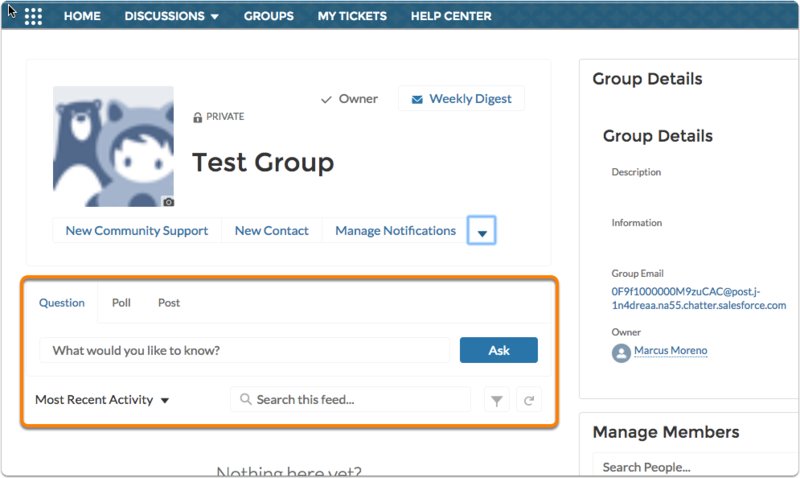 In groups, you can post a discussion post, poll, question, that is relevant to the smaller group within community. 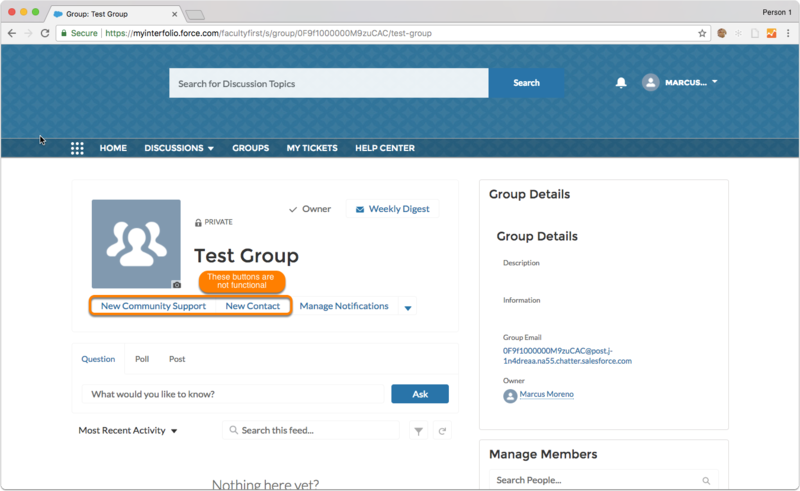 From the Groups page, you can view a specific group's page, or create a new group. The information of groups that are marked 'Private' is only available per invite by group manager or owner. If a group is set to private and you are not a member, than you will receive this screen. Groups that are set to Private are restricted to those who have been invited to join. Refrain from asking to join groups that are not relevant for you or your institution. Private groups have meant to have managed memberships for specific groups or institutions to communicate and collaborate away from the general community user base. The page for the group will be displayed. 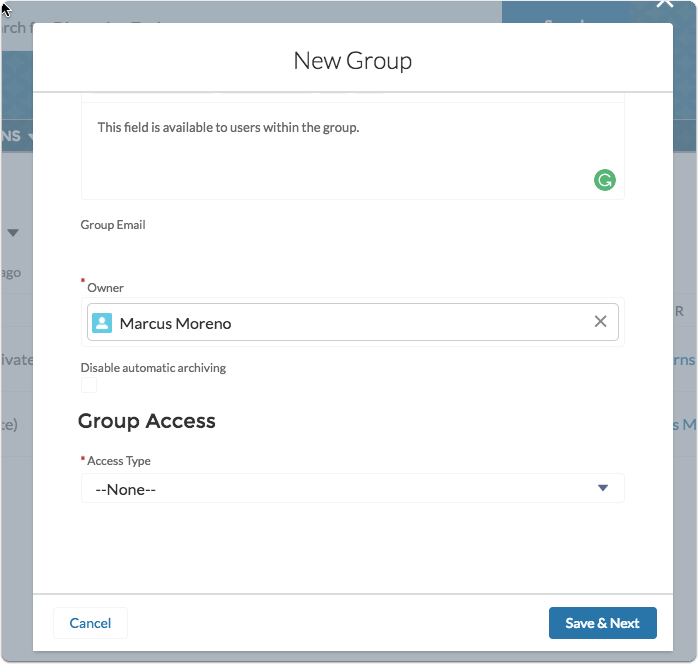 Note that in this example, this is a group that the user has created and has owner permissions, thus the image may display features you don't have access to in groups you are just a member in. When you have joined a group, you can search for recent activity associated with the group. In the New Group window that appears, fill in the required fields. Name - Displayed to all users, even when private. 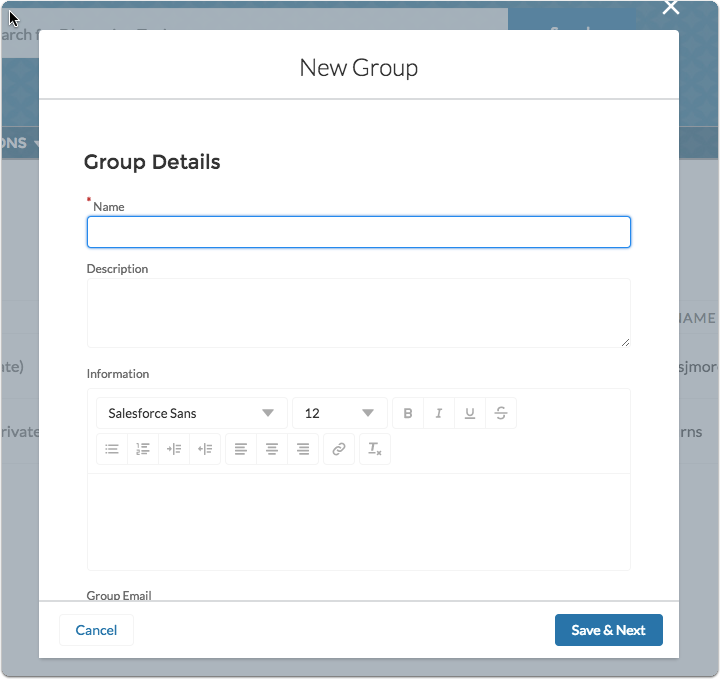 Description - A basic text field, the description of the group for the public to view, even when private. 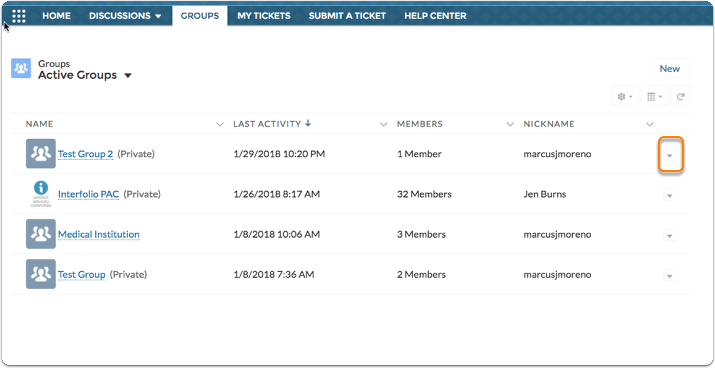 Group Email - An email to send messages to submit tickets to the larger group, only available to group members. Owner - The user that controls the primary group settings. 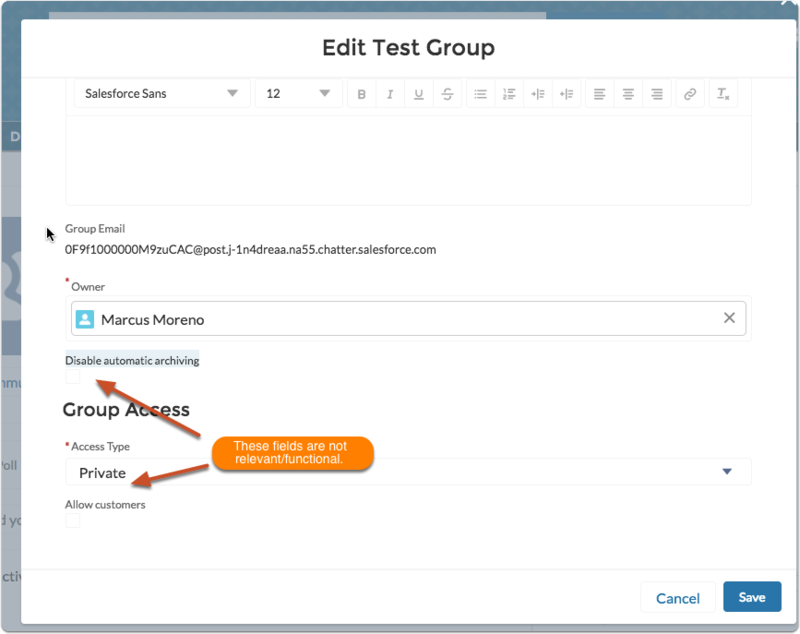 And, farther down, you can also set the Group Access type to 'Public' or 'Private', which controls the ability for general interfolio Client Community users to join the group and view group content. 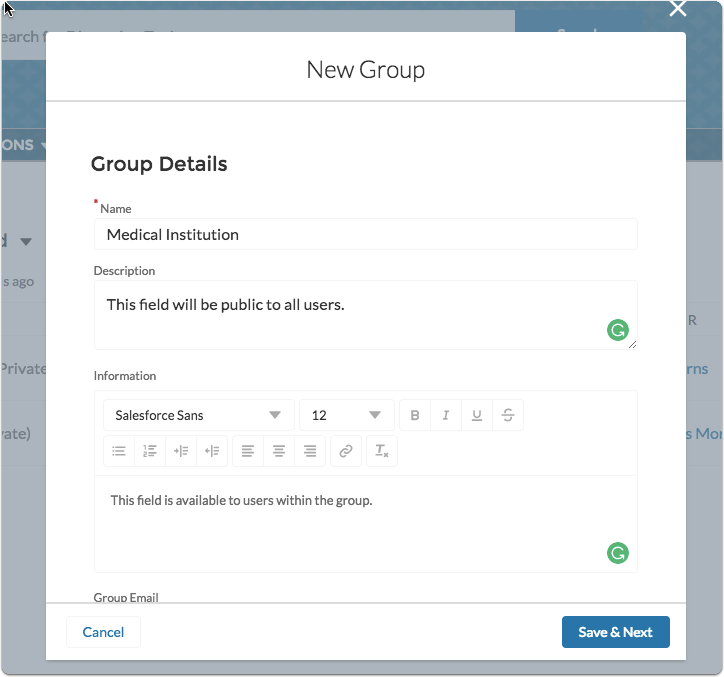 Setting this field to 'Public' allows general Interfolio Community Members to join the group and view the discussion, private requires an invite to join the group. Enter all required fields, and all desired fields. We encourage you to upload a picture for your group photo. When finished, click Next. Search for and add members to the group. Click the Add button to add a user. 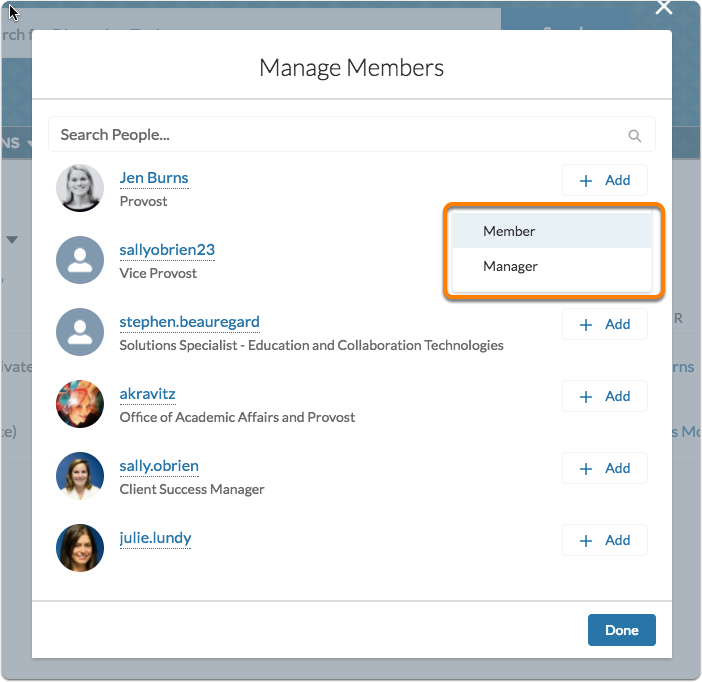 After clicking the Add button, you can choose whether the user has member or manager privileges. When you have added all users and verified their permissions, click Done at the bottom of the window. 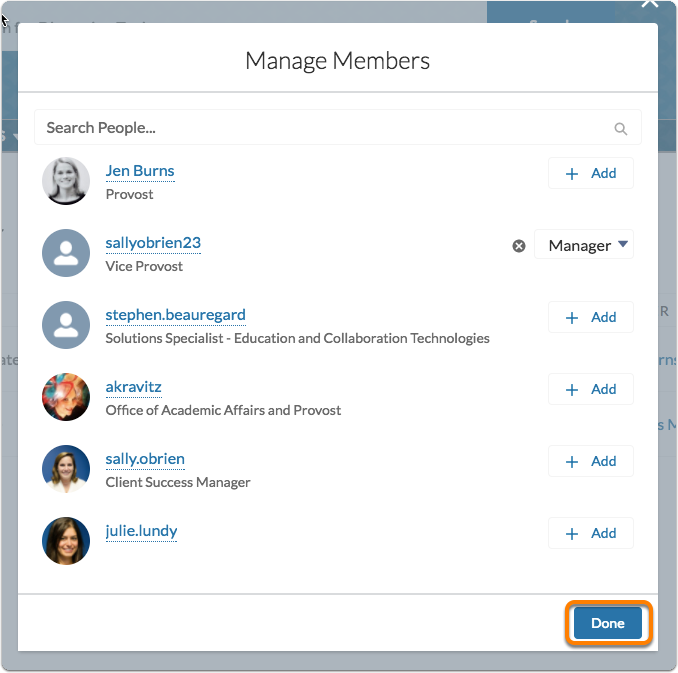 After selecting Done, you will be brought to the group page, where you can make edits to any of the fields you set up during this process or start communicating with your new Group within Interfolio Community. Using the notifications and digest tool, group users within the Interfolio Client Community are able to choose how frequently they would like to receive an update regarding relevant group. 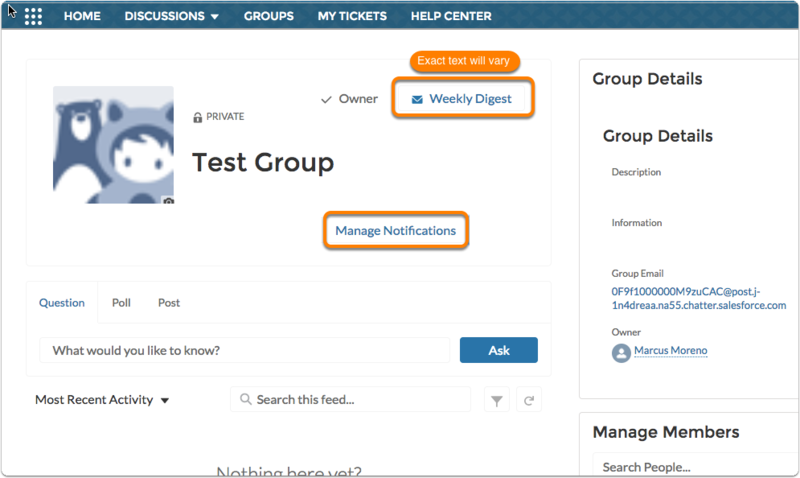 Select the Digest button (or Manage Notifications) to launch the tool where you can choose how frequently you would like to be updated on this group's ongoings. Choose how frequently you would like to be updated. The following features are only available to group Managers and Owners. 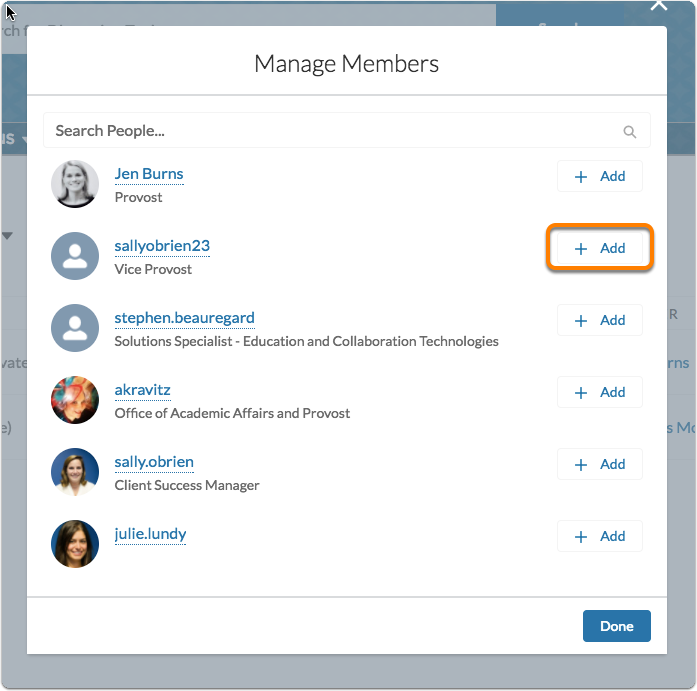 How to Add or Manage Member Privileges in Interfolio Client Community's Groups Tool. 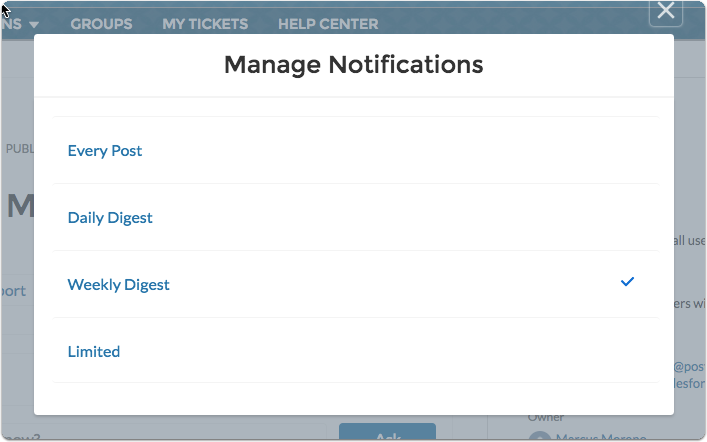 Admins and owners can use the Manage Members pane in the right hand side. 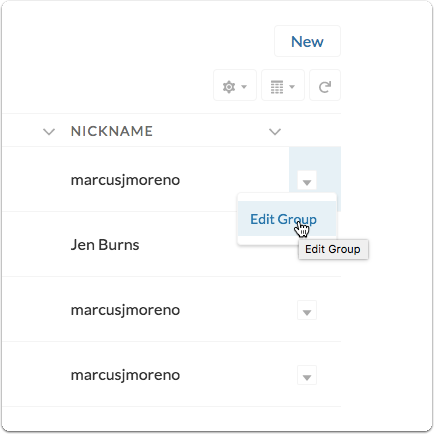 While in a group, select the arrow button to Edit the group details. From the group page, select the edit arrow. Select the Edit Group option to launch the window and make edits to the details. 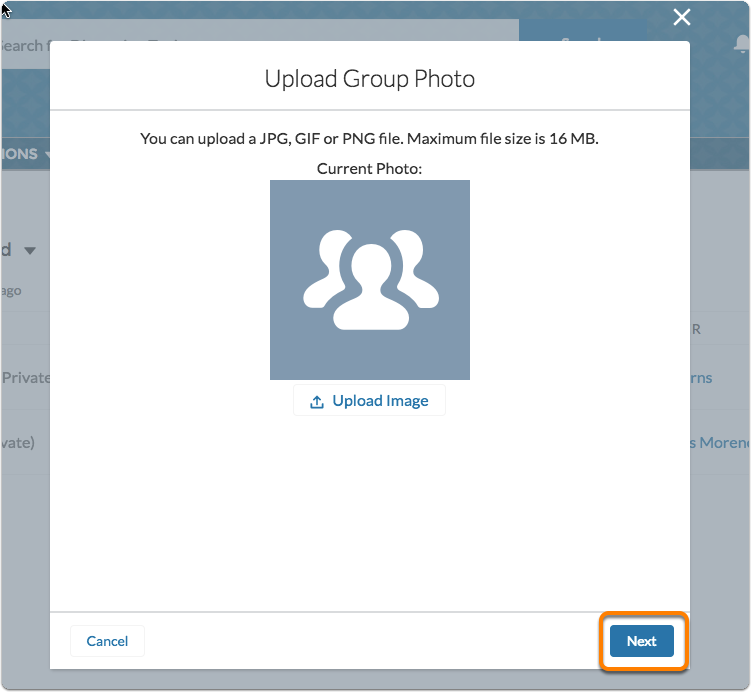 The information below is displayed when a user clicks on the group, note that Name and Description are available to all users. Click Save, at the bottom of the screen, when finished. Scroll down to see more fields in the Edit Details window. 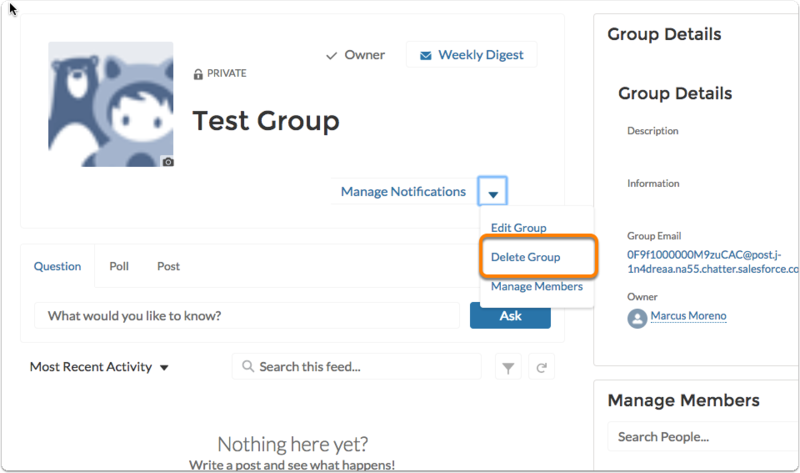 To delete a group, you must have proper permissions to do so, such as being the group's owner or a manager. This is currently not available but will become available in the coming weeks. 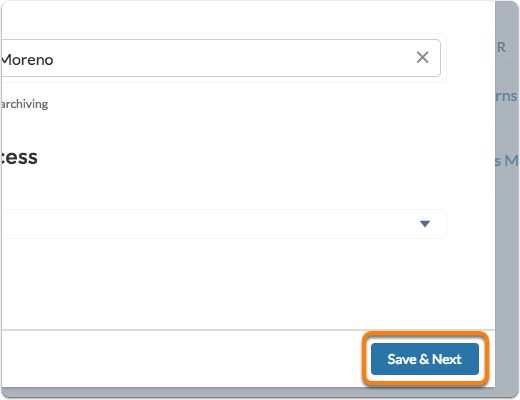 Click the arrow button to open the additional options drop-down.